December 2014 – Chapter 3/Number3 is already creating new futures: Quite a bit of it in London, where some of The Zine team are based. With our Chapter 1 talents raising their profile within a year, the power of under radar music is proven. Freshly uploaded, Chapter 3 makes Spring/Summer 2015 buzz in advance. True movement. 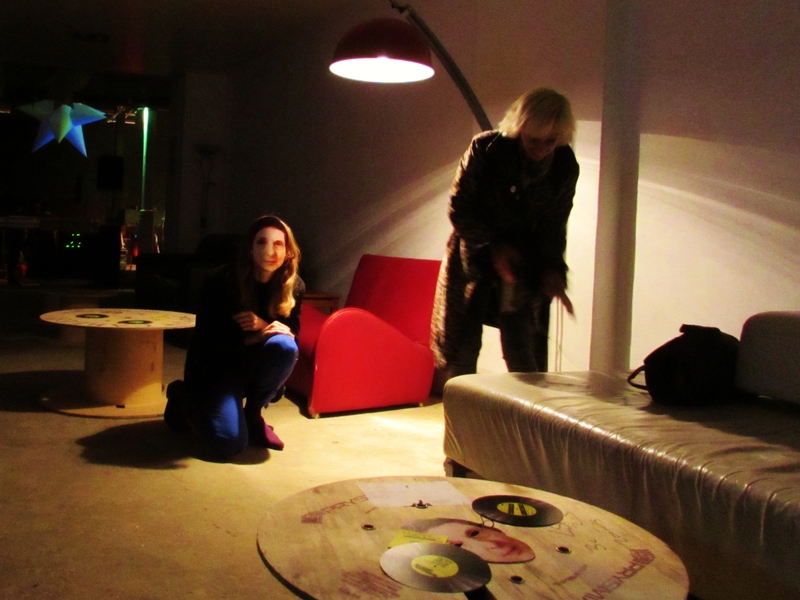 Starting a live music venue from scratch at Number3London; as we are setting up, is that Bruno Wizard of The Homosexuals or Jimmy Johnson of CuT with our music editor, Dizzy Spell? 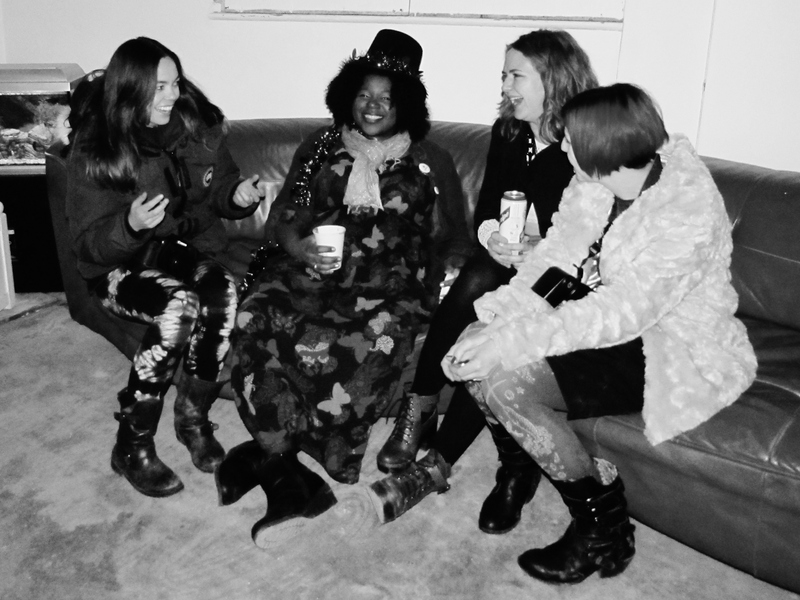 On that evening (Friday 5th December), four inspirational bright young things came together; (left to right) Film creative, Elisabeth Rasmussen, musician/promoter/radio presenter Jean Genie Graham, musician/dj Kalamity Kate and photographer, Polly Harvey who is one of The Zine’s Chapter 3 photographers. The following week, Dizzy is one of the interviewees for The Holy Bible, My Testament short film docs by Barefoot Rascals for The Quietus, made at Proud Gallery and Number3London. It is a week of inspiring Manic Street Preachers fans/friends calling in. 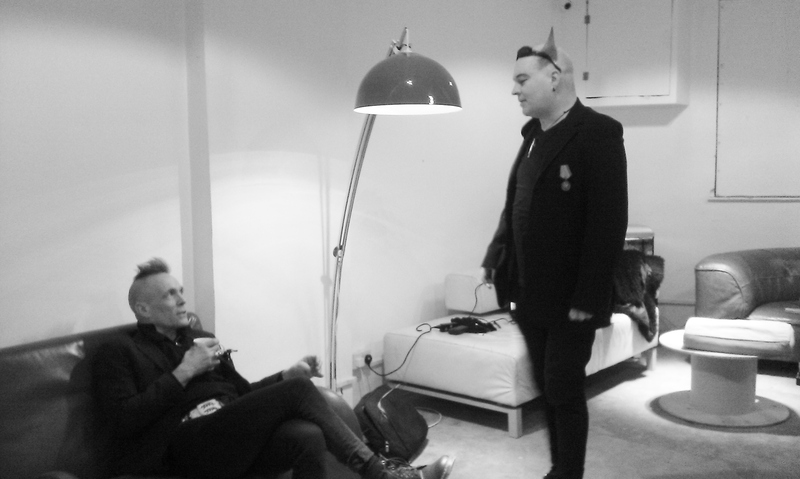 Pictured above, newer wave legends John Robb and Simon Price before the cameras roll. 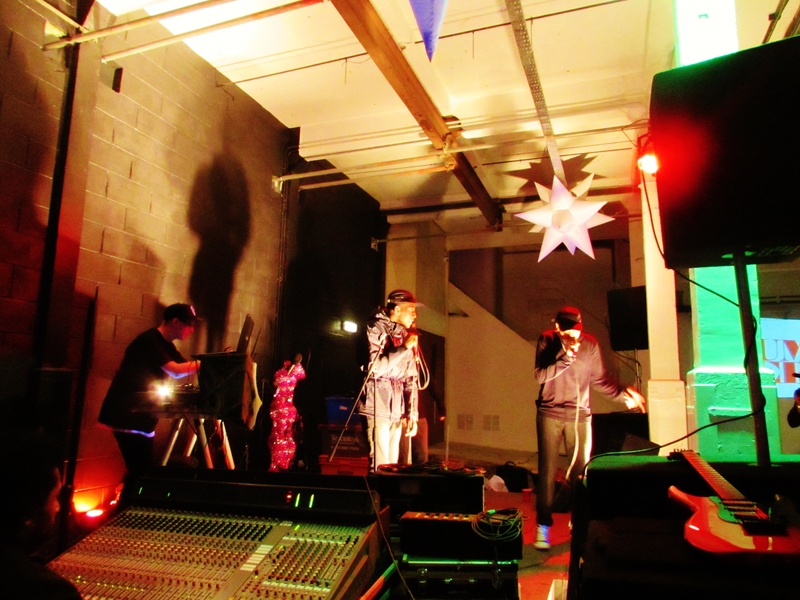 The second of the live sessions, on Friday 12th December, include Firm Cult (pictured below). The Essex based hip hop outfit attended the first show, impressed TheZineUK team with their sparkling reality and were snapped up for the following week on the strength of that. CuT are another theme of this story. The star shaped space punks have made a significant mark as part of the 2014 underground shaping 2015. New faces of Jack Daniels, they release; ‘Page 59’ in February preceded by an Artrocker New Blood headline set on Thursday 15th January with another of TheZine’s #futurepicks – Skinny Girl Diet. Then, that Saturday (17th January), Kalamity Kate DJs at the Deptford Army reunion of drum n bass partytasticness with Chapter 3 stars Too Many Ts and My Bad Sister (one of the twins accompanied Bruno to Number3London when he first came in summer to play an impromptu happy birthday show in the office for Jean Genie). Posted in chapter 3, Film, musicTagged artrocker, barefoot rascals, brightoldthings, bruno wizard, creekside, cut, deptford, dizzy spell, dnb, drum n bass, elisabeth rasmussen, film, firm cult, futurepicks, heart of bruno, hip hop, james fisher, jean genies massive hugs, john robb, kalamity kate, london, manic street preachers, my bad sister, number3london, officer kicks, photography, polly harvey, punk, rhiannon the nightmare, selfridges, simon price, skinny girl diet, SS15, the holy bible, the homosexuals, too many tsBookmark the permalink.